At the end of Row 85 you should have joined with a new colour and made 3ch which counts as the first tr of this next row. Here’s how to ‘Make a Bobble’ (MB) by completing all the following in the same stitch: join a contrasting colour yarn by putting it *yarn over hook (yoh), insert hook into st, pull contrasting yarn through to front, yoh, pull through 2 loops, repeat from * 4 times (you should now have 5 contrasting colour loops and 1 main colour loop on hook), pull main colour yarn through all the loops on the hook (1 bobble made), continue with main colour, push bobble towards front of work, carry contrasting colour yarn along behind work and crochet next stitches around it to bring it along invisibly behind the work. sorry, meant left hand pic!! Nice to see the new colour pops and great to ‘see’ Esther – what a fab drawing! I started just over a week ago after joining late to this my 1st ever CAL . I’ve caught up & looking forward to next instalment . As a new crocheter, I’m having a wonderful new adventure with your blanket, learning everything as I go. I’ve been doing it a month since the beginning of this year and can’t tell you how pleased I felt when I was able to do the bobbles on this row smoothly and without looking up the tutorial. A real sense of accomplishment. 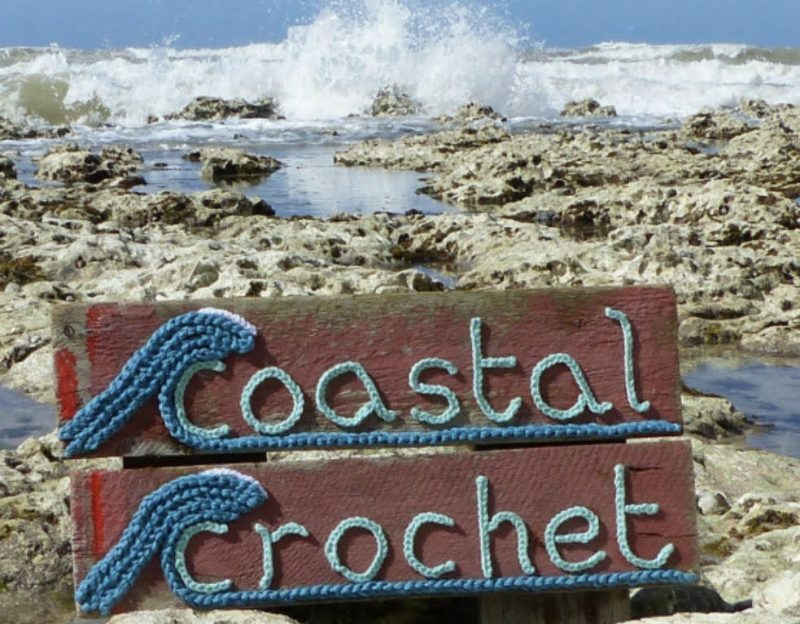 Thank you for making this learning such fun – and so lovely discover this wonderful community of crocheters too!